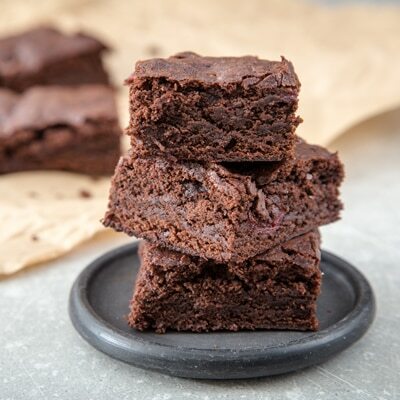 Easy Double Chocolate Chip Brownies are a chocolate lover's dream with a hint of vanilla and a dash of chopped nuts for texture. Perfect for all occasions. MELT 1 cup morsels and butter in large, heavy-duty saucepan over low heat; stir until smooth. Remove from heat. Stir in eggs. Stir in flour, sugar, vanilla extract and baking soda. Stir in remaining 1 cup morsels and nuts. Spread into prepared baking pan. BAKE for 18 to 22 minutes or until wooden pick inserted in center comes out slightly sticky. Cool completely in pan on wire rack. Cut into bars.